Hansgrohe’s Axor brand has debuted the new Uno collection of modern bath faucets in a range of heights and configurations. The new product line, designed in collaboration with Stuttgart, Germany-based Phoenix Designs, features a tubular body reminiscent of traditional pipes. The body’s two cylinders, joined at a clean right angle, were designed in the spirit of the mathematical golden ratio. The top piece of the collection’s standard design doubles as a “zero handle,” or a lever that can be shifted forward, backward, and laterally to control water flow and temperature. The collection also includes curved faucet designs that can be paired with Hansgrohe’s Select button control. Axor Uno designs are available in a wide variety of heights and configurations, including single-hole and wall-mounted options for sinks, and roman and freestanding fillers for the tub. 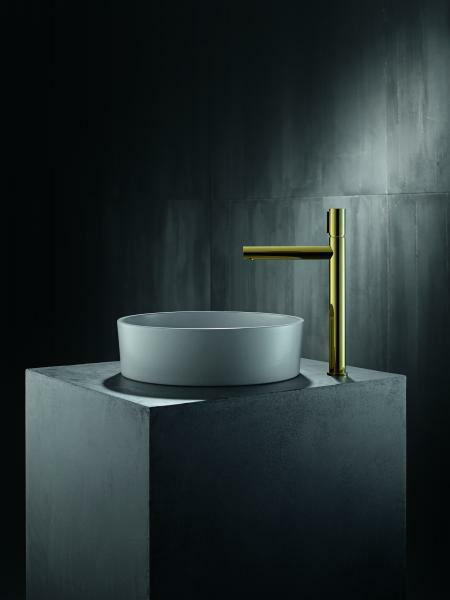 Each piece comes in chrome, brushed nickel, or any of Axor’s FinishPlus Axor colors, which include unique choices such as brushed red gold and polished black chrome.